Another romance of old man with young girl in Bollywood? This is the latest hot news in Bollywood and this time Mahesh Bhatt - Rhea Chakraborty suspected romance is in the air. Few days ago we came to know that 65 years old Anup Jalota is in relationship with 28 years old Jasleen Matharu. 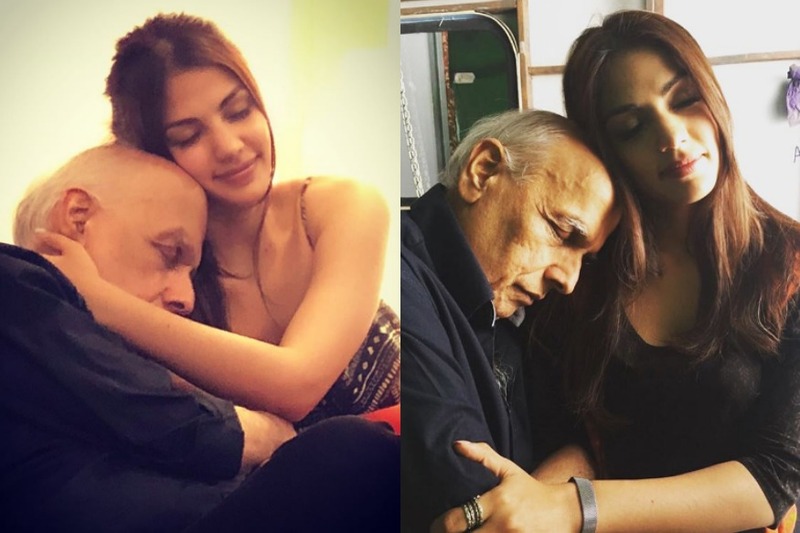 The next suspected pair is Mahesh Bhatt (70) and Rhea Chakraborty (26). 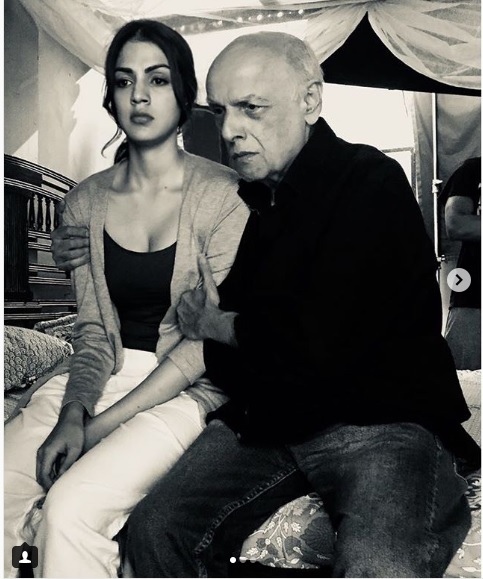 Rhea is working in Mahesh Bhatt's latest film Jalebi and recently the actress has posted many intimate photos of her and Mahesh Bhatt along with statements which has raised eyebrows of many. Mahesh Bhatt is a controversial character so far as relationship with women is concerned. He is very straight forward in this respect. Few years back, Mahesh Bhatt kissing his own daughter Pooja Bhatt is published and there was a big question mark on their relationship. In many's opinion nothing is impossible for Mahesh Bhatt so far as relationship with women is the point. Many smells casting couch. Anyway what Rhea has posted in social media is also interesting. Is it publicity stunt? We have to wait for the answer.